This third degree burn look is super easy to make and you can reuse it! 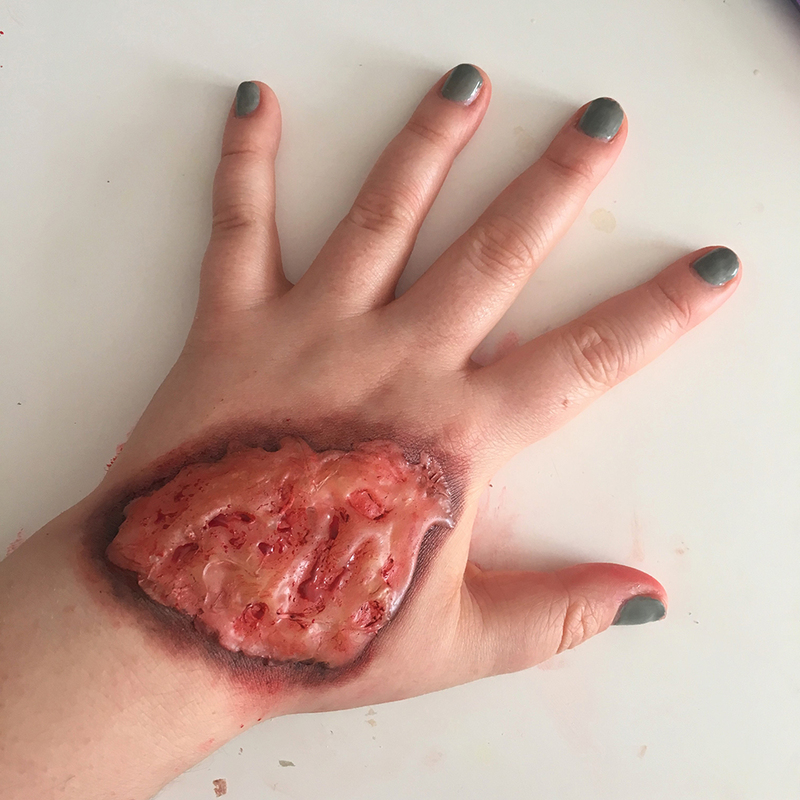 Because it’s made from a gelatine mixture, it’s long lasting and flexible — an sfx makeup technique perfect for wearing to events. Measure equal parts powdered gelatine (sorry vegans! ), glycerine and water and mix thoroughly in a microwave safe bowl. Microwave at five second intervals, mixing between each. After about 20 seconds in the microwave the gelatine mixture should be runny and almost bubbling. WARNING! The mixture will be extremely hot at this point, let it cool for a few seconds before using it anywhere on your skin. You don’t want to be burnt for real! With your gelatine mix fresh from the microwave, test a small amount on your finger to check the temperature. Don’t burn yourself ,but don’t leave the mix for so long that it becomes stringy! Use the handle of your spoon to gently smear on the gelatine into whatever shape you like, create some texture and layer the gelatine. This will make raised parts which will add depth to your creation. You can use the witch hazel/rubbing alcohol to smooth down the edges. Wait for the gelatine to dry. This won’t take longer than five minutes. Once it’s dry, use a red color and dab it on and around the gelatine with a makeup brush. Use more around the raised parts of the gelatine, and this will make the burn look deeper. Use either dark red or black around the burn so it looks like a freshly singed burn! I then used the yellow on the raised parts and played around with the color until I go something I liked. 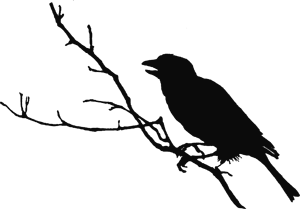 You can now go about and show off your burn! NOTE: I decided to use fake blood on the dipped parts, but I didn’t like the effect it gave – it didn’t sit well on the gelatine. You can use fake blood if you want though! 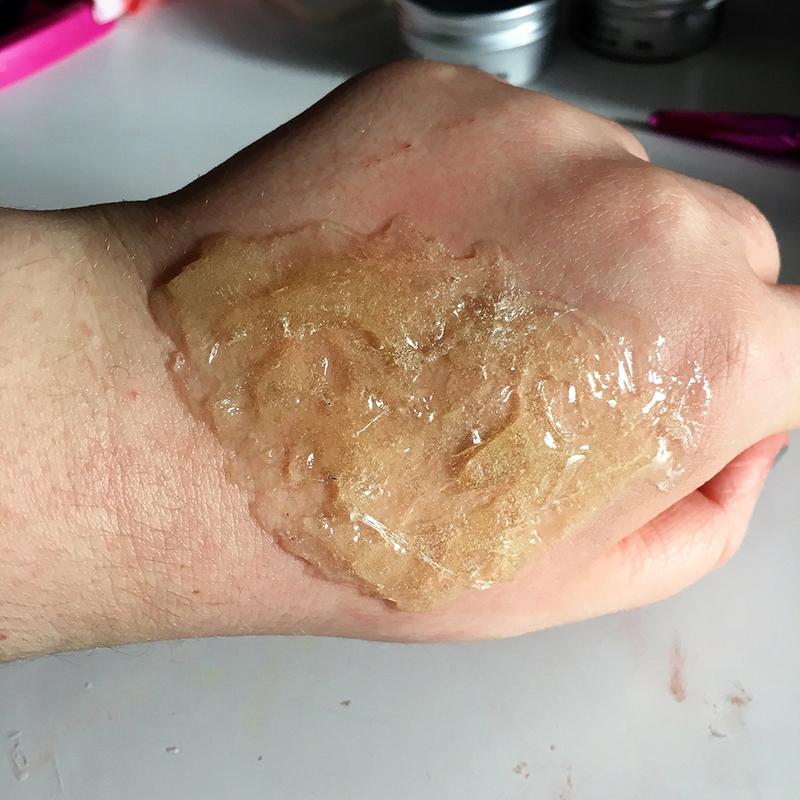 Once you’ve finished using the burn, gently peel the gelatine off from the corner, and you should be left with a reusable burn wound that you can stick on again with spirit gum! Store in plastic container. 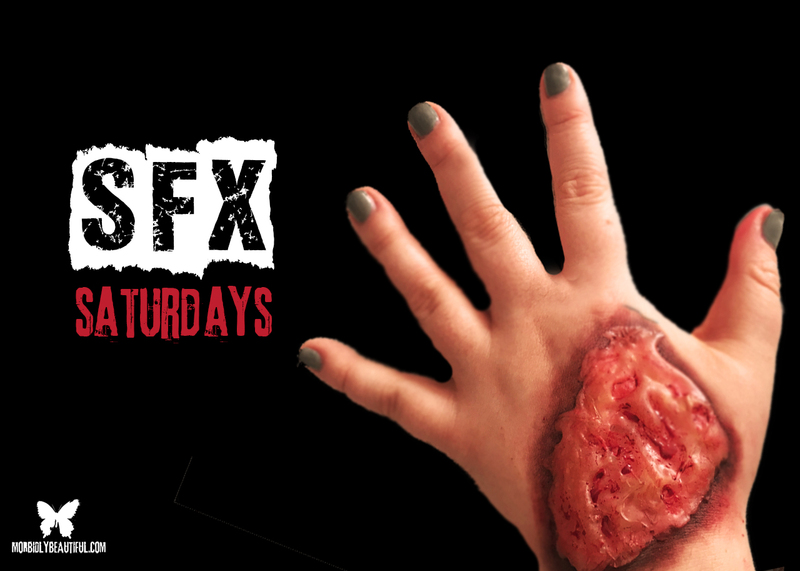 So, that’s just one way you can use SFX gelatine! I have to admit by the end of this look I was getting more ‘looks like a tumor’ rather than ‘looks like a burn’ impression, but either way, it still looks gross and I will definitely use the burn/tumor/thing(?) again in the future! 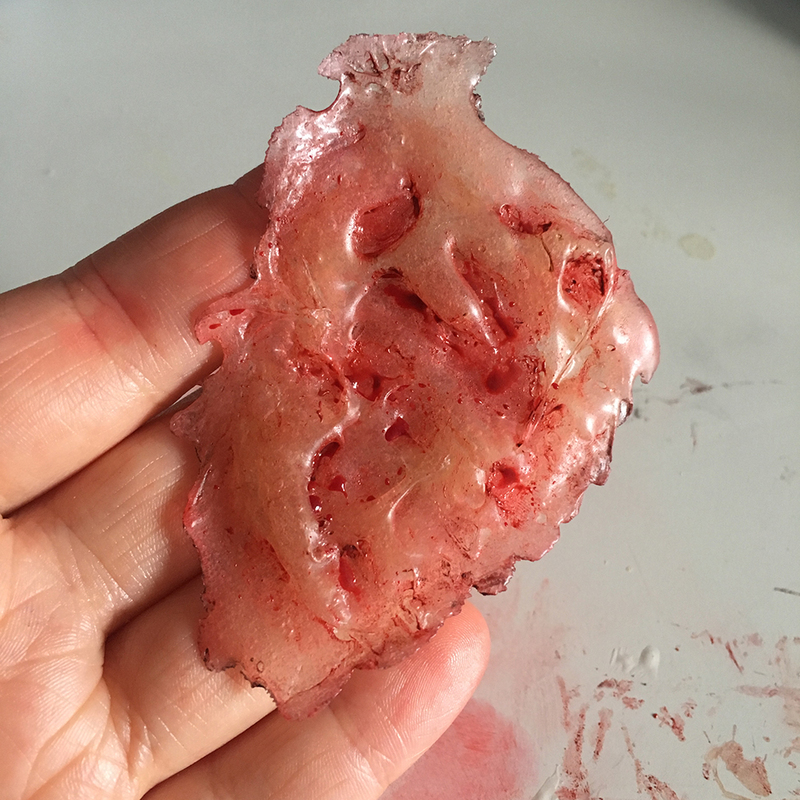 What’s great about this is that this super easy and realistic burn can be reused for so many different looks, and whatever leftover you have can be stored and melted for the next time you need it!